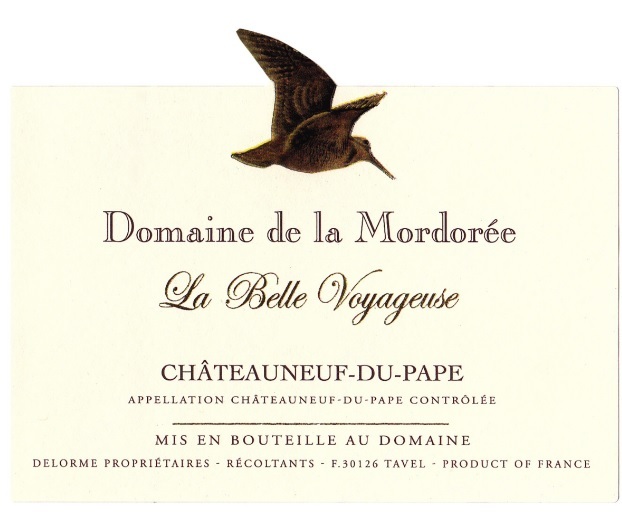 La Belle Voyageuse is a more approachable version of the La Reine des Bois. It is meant to be enjoyable early compared to her sister Cuvée which is made for the long run. Made from 90% Grenache, 4% Mourvèdre, 4% Syrah, 1% Vaccarese, 1% Counoise. "Leading off the Châteauneuf du Papes and made from younger vines, with the goal to drink well in its youth, the Grenache-dominated 2015 Châteauneuf du Pape La Belle Voyageuse (there's 4% each of Syrah and Mourvèdre, with a tiny splash of Counoise and Vaccarèse) sports a vibrant ruby/purple color as well as lively notes of raspberries, bouquet garni, spice box, dried soil and flowers. Medium to full-bodied, supple and elegant on the palate, it's a much more upfront, mid-weight effort compared to the more concentrated, structured Reine des Bois cuvée. It should drink nicely on release and over the following decade. - Jeb Dunnuck""